Picture ZeroKnight made for me on Valentines day I use it for my wallpaper from time to time. I started replaying S.T.A.L.K.E.R:Shadow of Chernobyl some time ago and stocked up on related wallpapers for a slideshow. I haven't gotten around to setting up Rainmeter or the other fancy-pants programs since I haven't had this computer terribly long,so my desktop has remained fairly simple save for the Twitter gadget. Didn't you use to make it a habit to keep your desktop completely free of shortcuts and what not. I remember the only thing you used to keep around were rain meter and it's accessories and a fancy wall paper. No icons, nothing. Change of heart? You are indeed correct,I would get OCD out the bum about that. 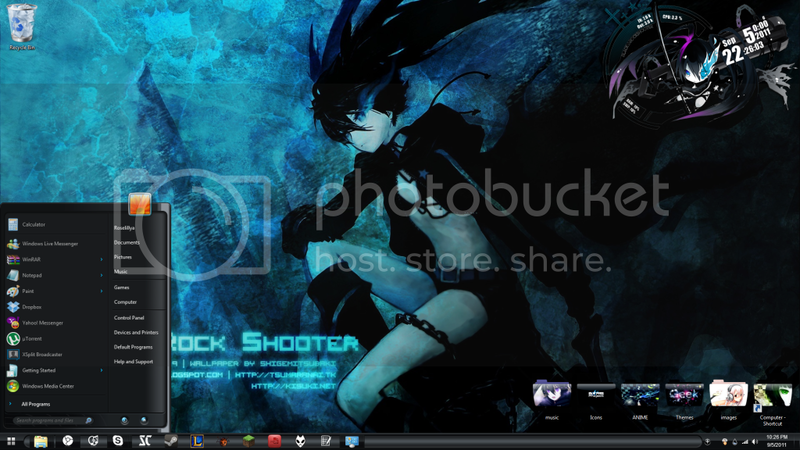 I just haven't gotten around to setting up Rainmeter. The problem with shortcuts is that I like a clean desktop,but then I look at all of the empty space going to waste and wish I could do something with it. It's like I have two opposing OCD cases banging together so I end up switching between the two randomly. [quote name='"Gadolf the Absolute' date=' post: 47293"']You are indeed correct,I would get OCD out the bum about that. I just haven't gotten around to setting up Rainmeter. The problem with shortcuts is that I like a clean desktop,but then I look at all of the empty space going to waste and wish I could do something with it. It's like I have two opposing OCD cases banging together so I end up switching between the two randomly. [/quote]I just end up pinning all my frequently used programs. I've got a similar problem and it helps a bit although I end up littering the desktop and then get pissed and clean it all up a week later. 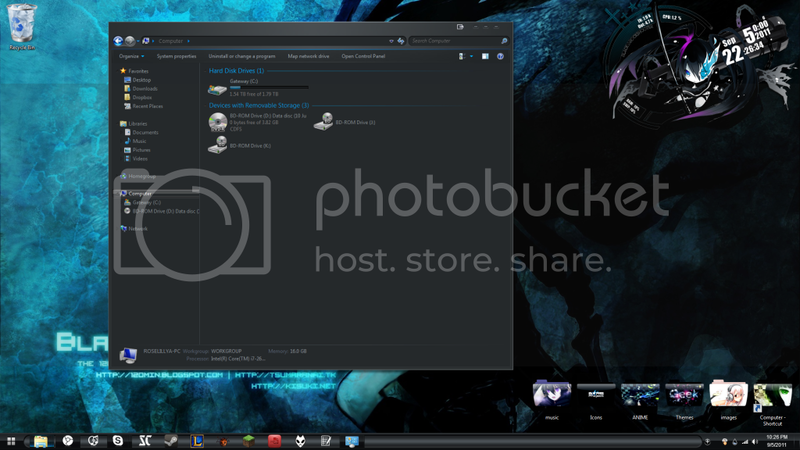 Oh looky, It's Samurize, and the config is a modified version of Centrebar. 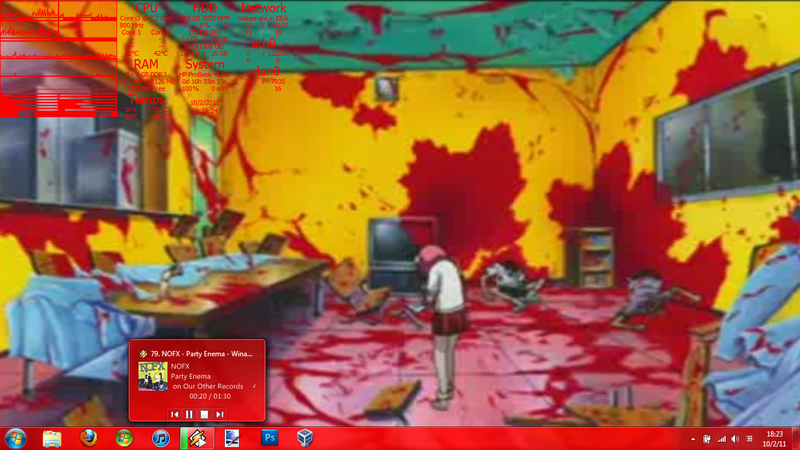 If you know one person who always keeps a clean desktop, it's me. 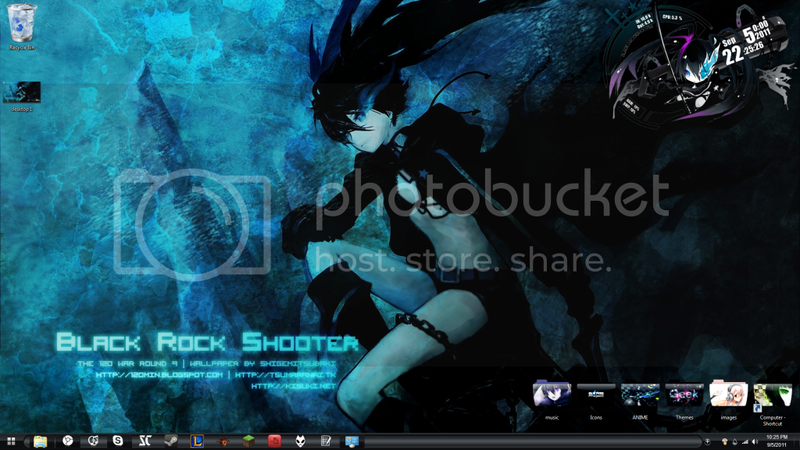 By the way, I edited the config more, so this aint exactly my desktop. 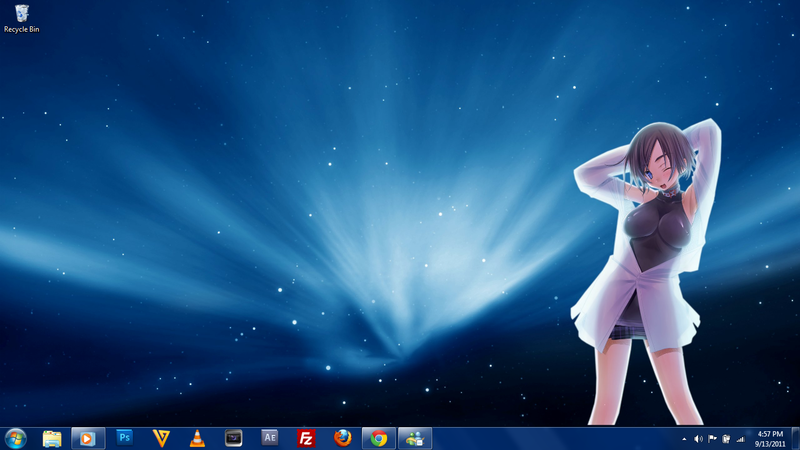 Also, if theres one good place to store applications, it's the taskbar. 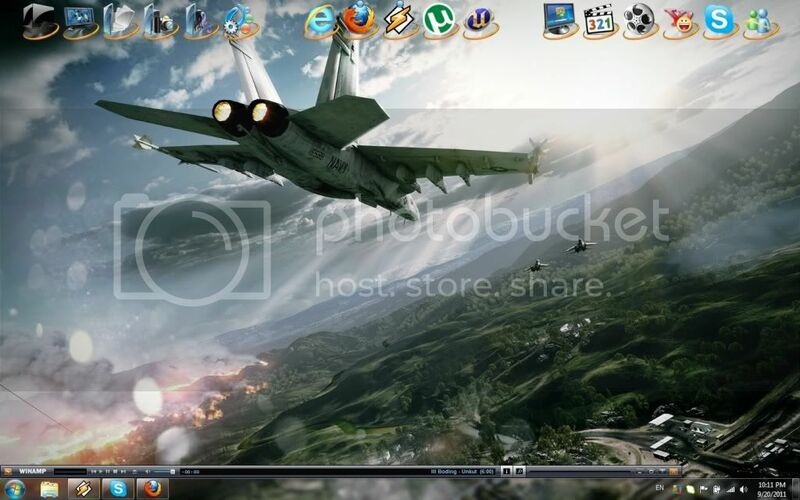 I hate using the show desktop button, it can get messy with certain applications. 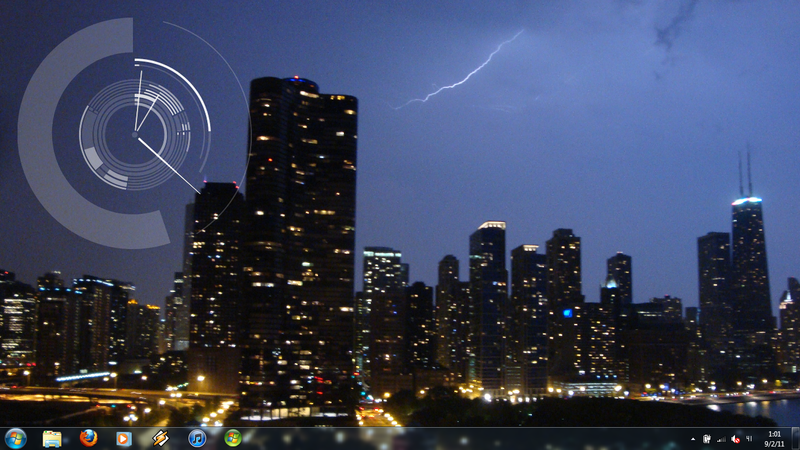 I want to change it but I'm too lazy to find new Rainmeter widgets and wallpapers..